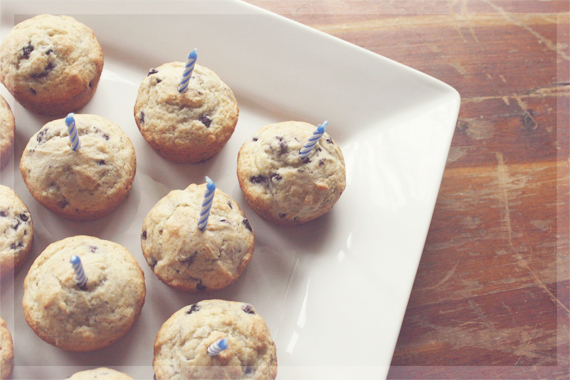 Birthdays around here are celebrated by getting to have all of your favorite foods for the day. Gabe's birthday had to be postponed this year since it was the same day as my grandpa's funeral:( So this weekend I got to baking. Wanted to share one of my favorite desserts with you. Whisk the flour, baking powder and salt together in a medium bowl and set aside. Using a hand mixer, cream the butter, light brown sugar, and vanilla extract on medium speed, about 1 minute. Add the egg, blend on medium speed for 30 seconds. Add the dry ingredients and combine on low speed until just a few dry streaks remain. Add the chocolate chips and hand mix with spatula. Scrape the batter into a greased and lined 9-inch round cake pan. Press the batter into a smooth and even layer in the pan. Bake until lightly golden and puffy around the edges (insert knife at center to make sure the middle is done), approx. 20 minutes. Cool for 10 minutes and then run a knife around the edge of the pan to release the cake. Cool before turning the cake out of the pan and onto a large plate. I used a cake deco kit to add icing drops on the top for that birthday cake look and feel. Slice and eat that bad boy! That looks sooo tasty, and the photos are beautiful. This looks so yummy! I haven't had a cookie cake since I was in middle school - it sounds SO good to me right now! And beautiful flowers! These are beautiful images and a delish looking cake! Will have to make after lent;) Happy Birthday Gabe! Happy belated birthday! What a wonderful present. OH totally making this! Yummmmmm. Love cookie cakes! That cake looks so yummy! 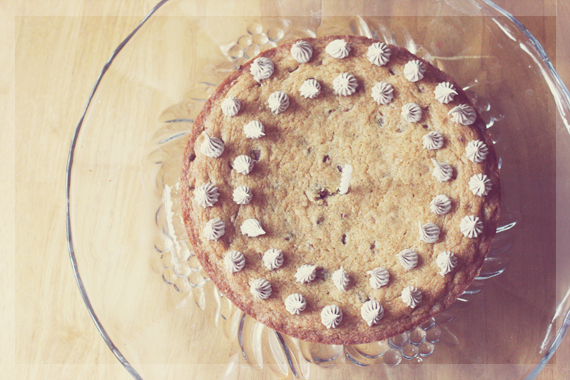 chocolate chip cookie cake?!!! kill me now. YUM! Yummy! I'm sure Gabe sure enjoyed it! Happy Belated birthday to him! yum! love the flowers too! I seem to have missed your birthday! i was just about to say, i'm giving up sweets for lent! Glad i'm not the only one being tortured by looking at these yummy treats! This is going to be bookmarked for sure! You know how I adore anything chocolate chip! And I need a lesson in food photography. haha. I'm worse than terrible. YUM! This looks so delicious and goes so perfectly with the hydrangeas! Oh my goodness looks yummy! Ah good luck on abstaining from sweets. So hard for me. Hydrangeas are one of my favourite flowers! These are lovely shots! very sorry for your grandpa! everything is so yummy and beautiful!!! Lovely pictures and Yummy cookie cake! 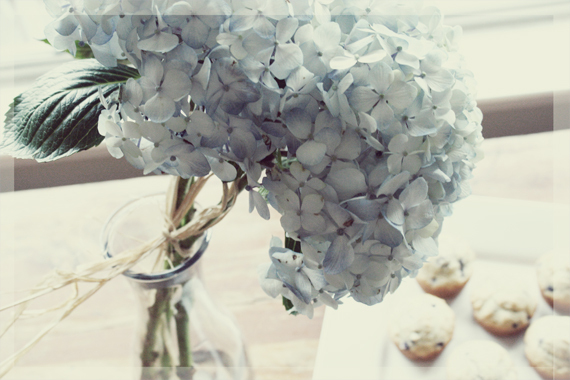 And hydrangeas are my all time favorite flower...I think they are so delicate and beautiful. Looks like a wonderful birthday celebration! I'm sorry to hear about your grandfather Anna. How marvelous and your photos are so nice too, thanks! Seriously can't go wrong with anything chocolate chip cookie! Love the simple presentation. This looks like the best cake EVER!!!!! That looks so yummy! I bet the little man loved it! I can't wait to try this! 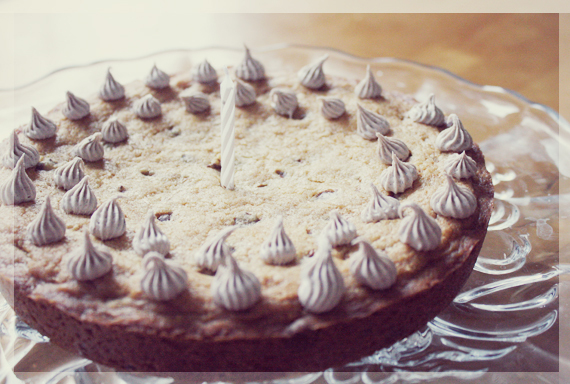 I've been looking for a recipe for a yummy cookie cake for a while now. Love they hydrangeas too!.... sweet hubby! Anna not only this recipe looks delicious but the pictures are so GORGEOUS!!! 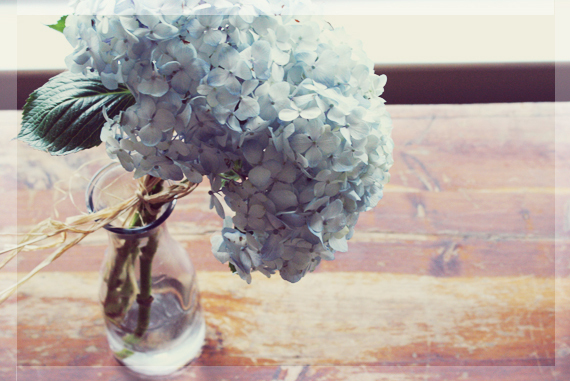 Love hydrangeas. This looks amazing!! I wish I could eat this whole thing :) Good for you for giving up sweets! yuuuummy!! And those Hydrangeas are pretty pretty, what a lovely birthday! Yum! what a lucky boy. Happy birthday to your baby boy...well former baby I suppose.